Synopsis: "From Kumina to Mento, Ska to Rocksteady, Reggae to Dancehall, Roots to Ragga – this is the authentic story of Jamaican popular music, told for the first time by Jamaicans. In Jamaica, Reggae is more than music – it is the nation’s main collective emotional outlet and its chief cultural contribution to the world. 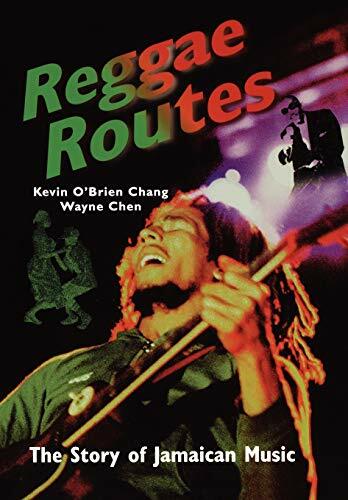 Reggae Routes examines the ways in which this uniquely popular music expresses the dreams, desires and realities of the Jamaican people, capturing the ‘glad to be alive’ spirit which makes Jamaican music so popular worldwide. Jamaican music can be roughly divided into four eras, each with a distinctive beat – ska, rocksteady, reggae and dancehall. Ska dates from about 1960 to mid-1966, rocksteady from 1966 to 1968, while from 1969 to 1983 reggae was the popular beat. The reggae era had two phases, ‘early reggae’ up to 1974 and ‘roots reggae’ up to 1983. Since 1983, dancehall has been the prevalent sound. The authors describe each stage in the development of the music, identifying the most popular songs and artists, highlighting the significant social, political and economic issues as they affected the musical scene. While they write from a Jamaican perspective, the intended audience is ‘any person, local or foreign, interested in a intelligent discussion of reggae music and Jamaica.’ A unique feature of this book is the inclusion of historical radio charts from 1960 to 1966 and a provocative reggae all-time top 100 chart. Copiously illustrated with period photos, record jackets and a variety of music memorabilia, this is the best book ever written on reggae. "